The United Methodist Church was created in 1968 with the joining of the Methodist Church and the Evangelical United Bethren Church. A shared heritage, theological traditions, and relationships that dated back almost two hundred years facilitated the union. One of the largest Protestant churches in the world, the United Methodist Church has become increasingly aware of itself as a world church with members and conferences in Africa, Asia, Europe and the United States, with membership growing significantly in Asia and Africa. Please see Our Beliefs for detailed information on the theological beliefs and social principles of the United Methodist Church. 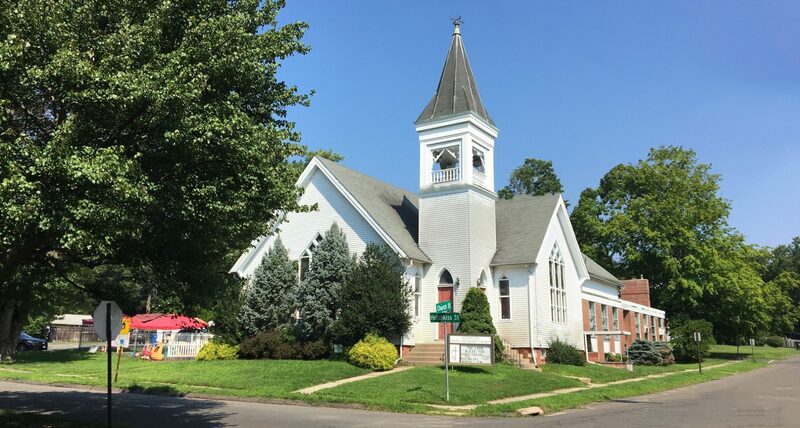 Our church was organized on May 29, 1858 as the Kensington Methodist Episcopal Church, meeting for it’s first seven years in the town hall until a new church was built in 1865 on the corner of Percival Avenue and Sbona Road. The present church building was erected in 1893 on land donated by Edward Alling. The education wing was dedicated in 1961. Above all, the church is a community of people gathered to worship and praise God and to go out into the community to share the Good News with others. By providing opportunities for worship, learning, outreach and fellowship, we shall strive to be faithful to our calling.